Kids, drawing lets you fly high via pencil and paper with pouring down the imaginary world on blank paper or drawing sheet. But, honestly speaking, at times it needs you being graceful with your art work. Have you ever encountered the moment when you desperately crave for your favorite cartoon character drawing but could not take a step ahead just because you have not drawn anything before? 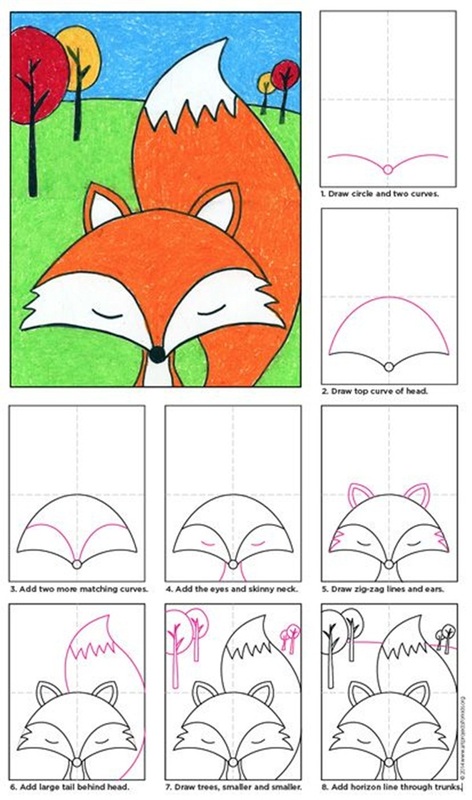 Just for ‘those’ little fellas or the newbie artists, we brought you up the easy DIY cartoon drawing for kids. 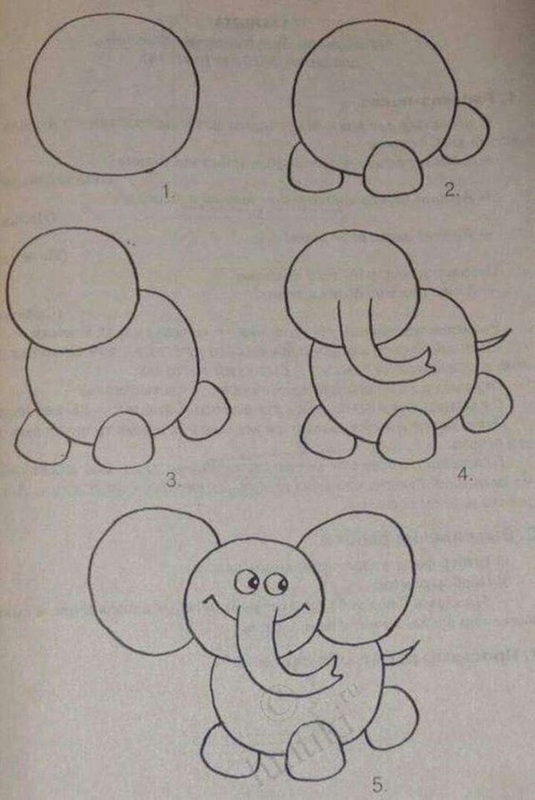 Indeed, drawing is incomparable and best ever fun for kids and adults too but there are profound reasons to know why kids should learn cartoon drawings. From depicting the funny irrelevant abstract formations or zig-zag lines to craft a master piece takes little time. 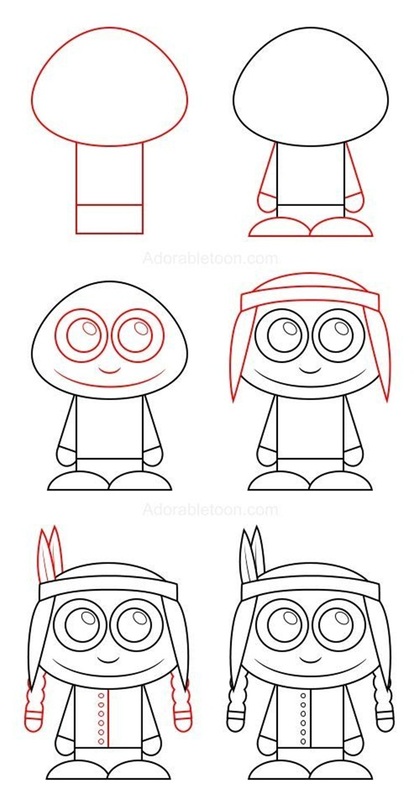 For instance, you better follow this article to draw cartoon sketches. 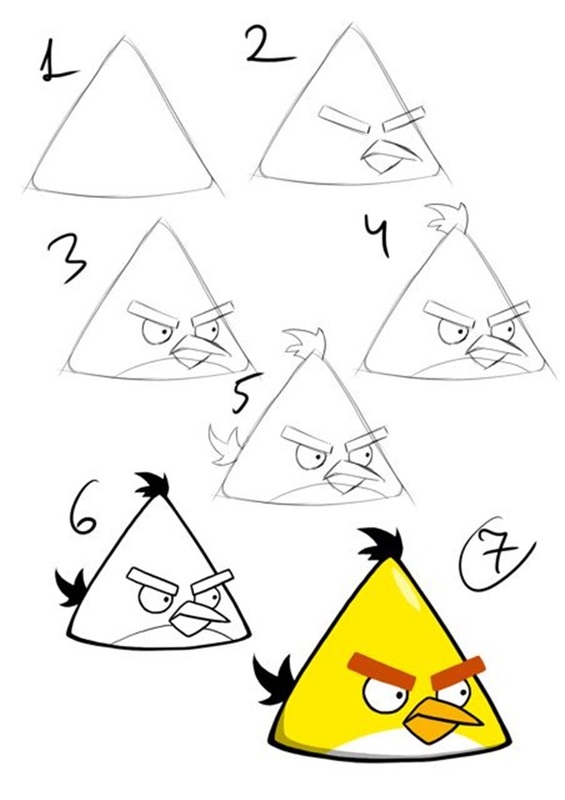 This edgy peak bird is real angry bird from popular video game and animated movie. 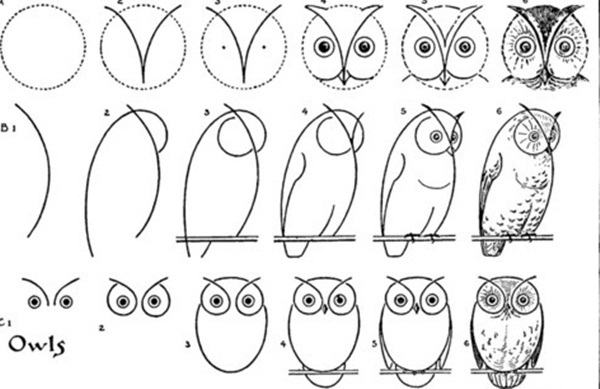 Just draw a circle and then its fur with making two curves above circle. Now give it the sharp eyes and nose shape and once the rough work is done you can fill the colors. 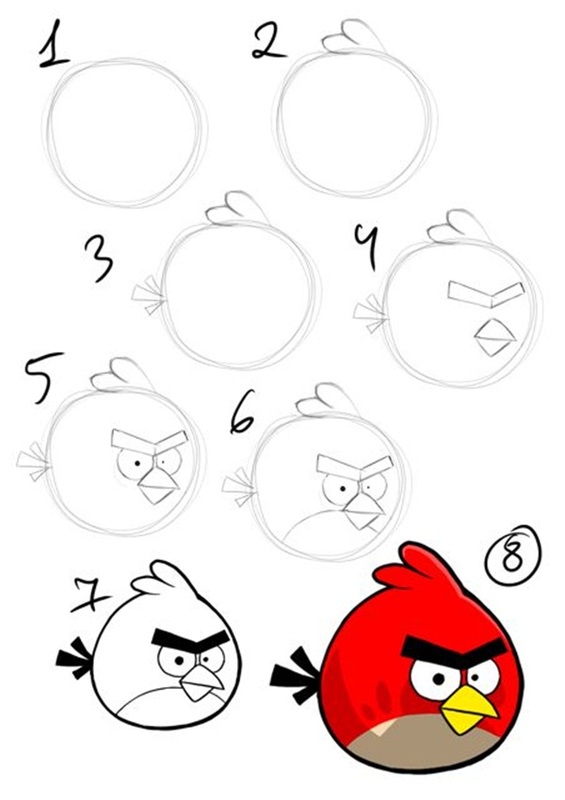 You can draw many angry birds of different sizes just make sure to draw the large and small circle first. Parents, if you kid is fond of wild animals like tiger you can help him making baby tiger instead of huge realistic tiger. 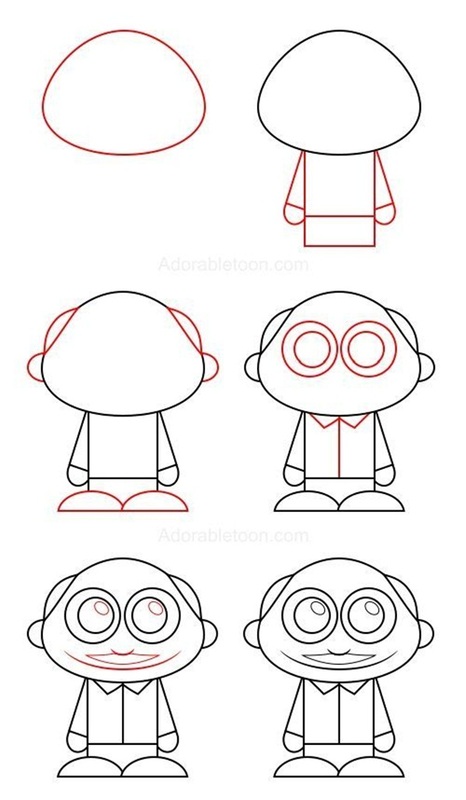 Draw the big ‘U’ with widen base to give the face structure to little tiger. Now, with red or desired color pencil draw ears, eyes and pretty nose. Now by following the step no. 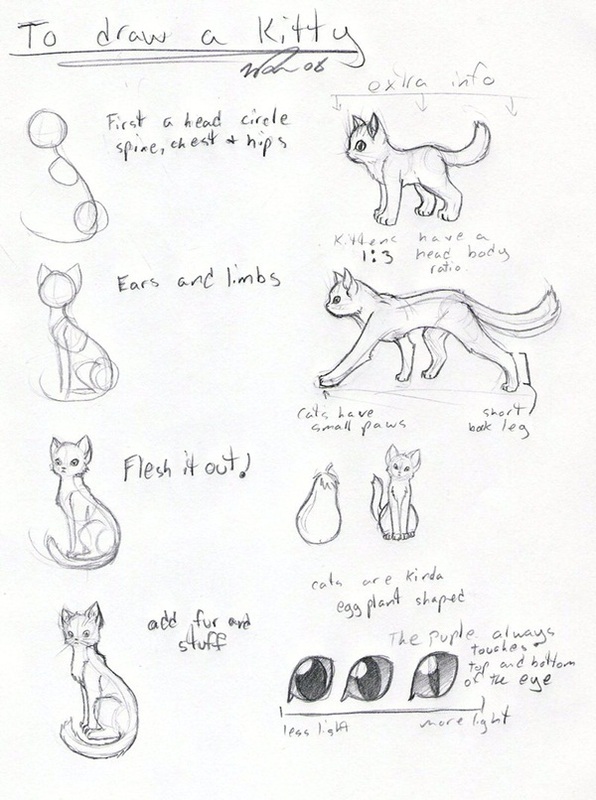 7, 8, 9 draw its legs to get the complete portrait of tiny tiger. This one is creative! 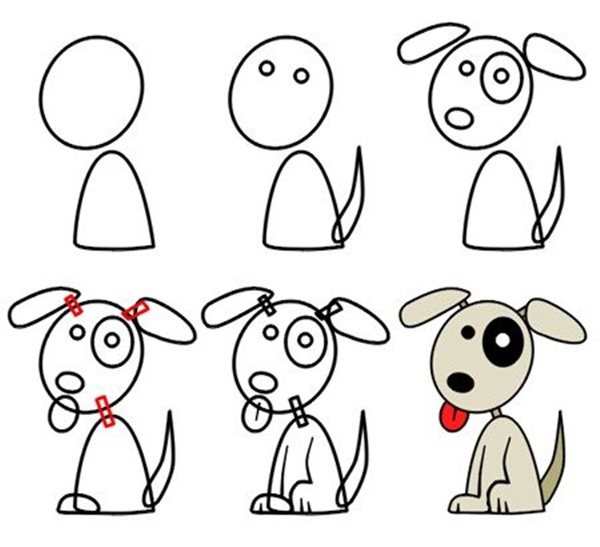 Have you ever thought of that you could draw a dog just from the ‘dog’ word. 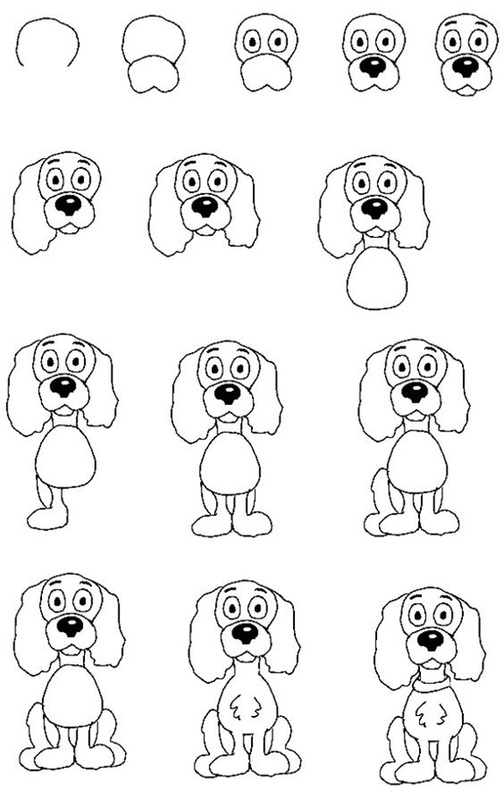 You can make it happen just write down the ‘dog’ word but make sure alphabets are closer and have round shape as shown in image. 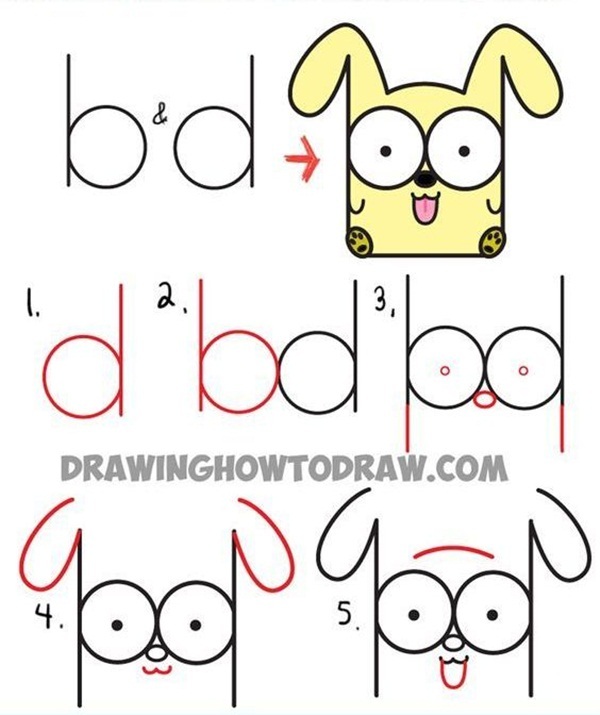 Now, with little bit of pencil work on every alphabet, will craft you a funny doggy. Dragon are not always in angry mood or devastating, right? Well, with your hand work you can draw a soothing and adorable dragon with a complete scenic beauty. Dragon may seem you tough but is not at all as you can see by making oval and curve shapes you can easily draw this huge dragon. Note: better to use different color pencils for highlighting the body parts. 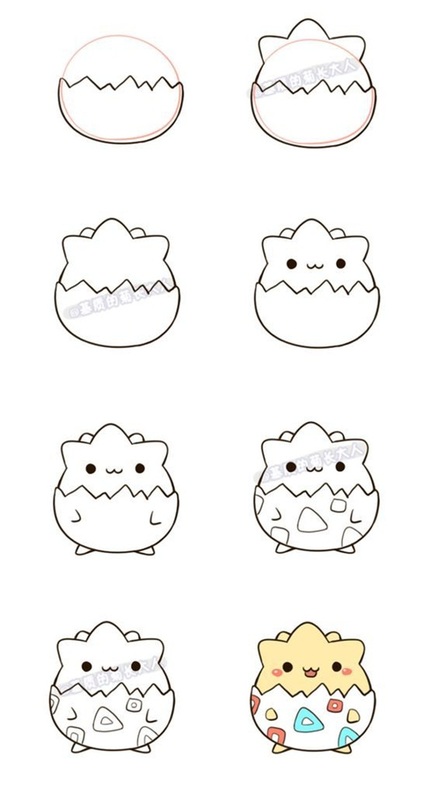 How cute is it, isn’t? Kids are huge fan of spider-man and when it comes to drawing work, how could we forget this superhero. 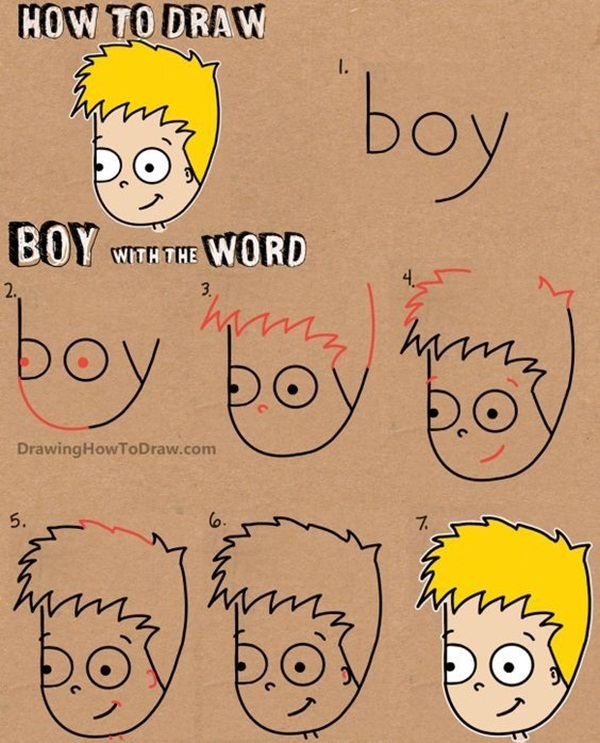 Giving him a oval face shape by making circle you can easily revive the Spidy Spiderman on a piece of paper. 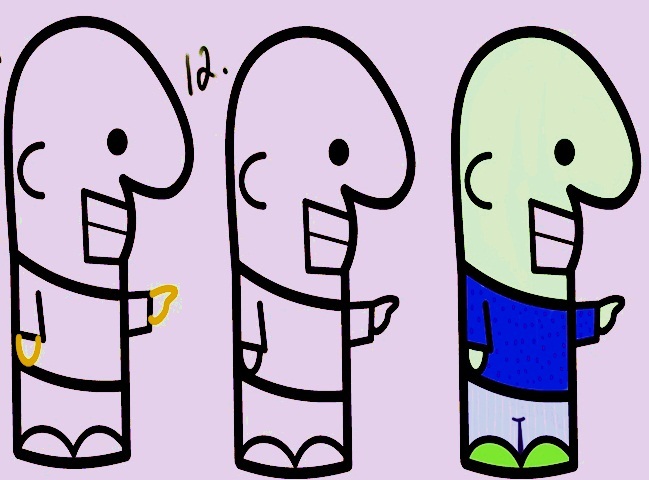 Kids, careful with colors since it’s small in size but the bigger you draw it, more easily you can color his attire. • Choose sharp and good quality of pencil, pencil colors or whatever the type of colors you are going to use. 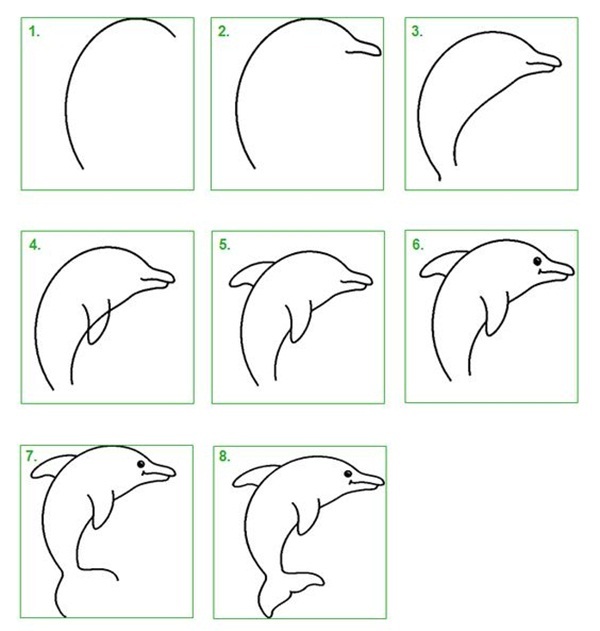 • Don’t hustle, go easy with hands unless and until the complete shape and structure is done. • Move forward with step by step and it’s guaranteed that you will bring out the master piece. 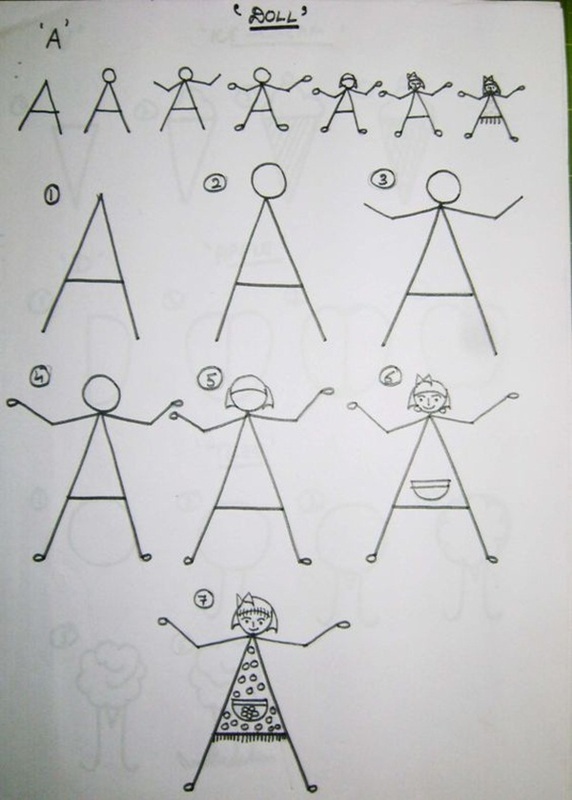 • Use different pencil colors for the base work as this will help you to differentiate the body parts. 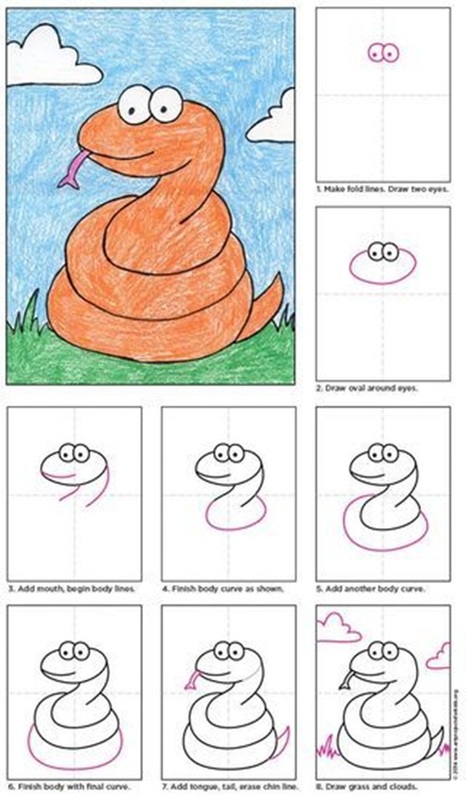 By following these easy DIY cartoon drawings for kids, an artistic and soothing master piece can be done with no time. Let’s know if this post was helpful for you or even the ideas you want to add up here, in comment section. 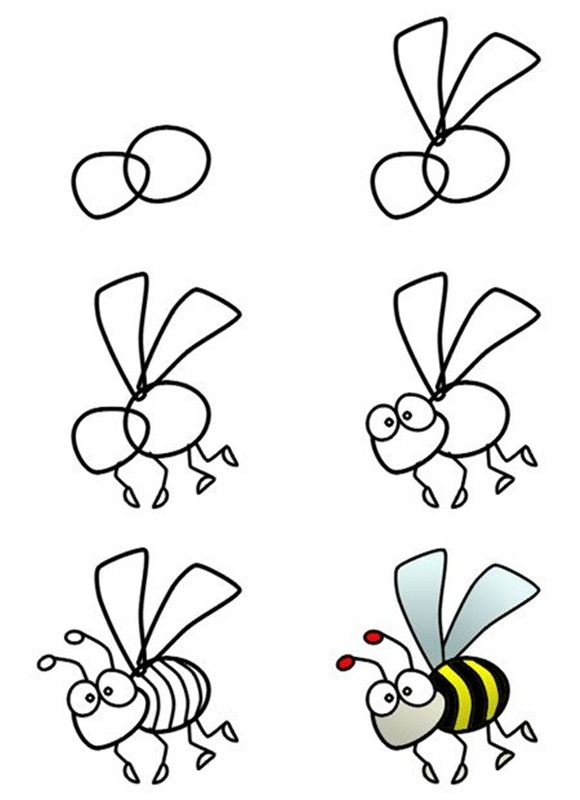 Let’s have fun with cool cartoon drawings!